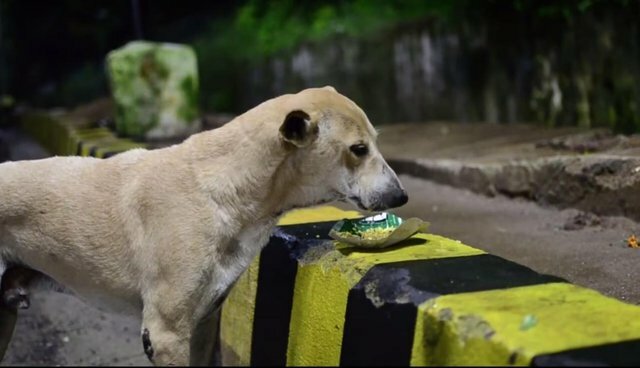 A man with nothing has given everything he has to keep seven stray dogs alive. This man's name is Kamala Lochan Baliarsingh. He's lived in Odisha, India, for the past three decades without any home or source of income. "I just clean the platform by collecting plastic bottles," he says in " Man of God," a short documentary produced by Incendiary Films in 2014. 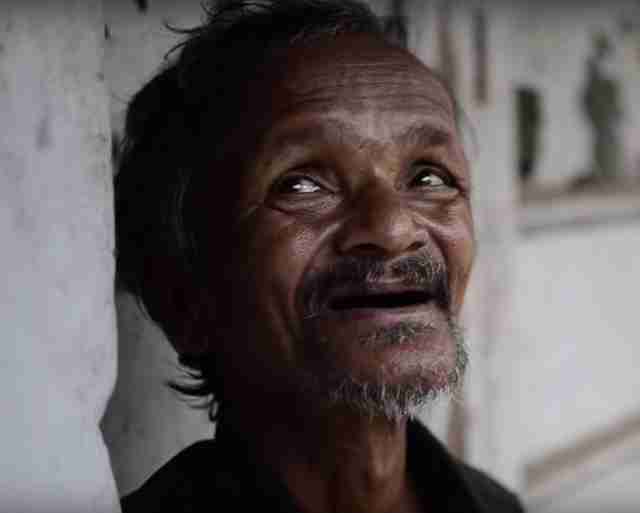 "When I met [Baliarsingh], I knew I had to make a short video on him for the world to see that humanity still exists," filmmaker Raj Sampad told The Dodo. He uses the money he gets from recycling these bottles to feed seven of the town's stray dogs, who all visit him after midnight, according to the film. Every day, Baliarsingh makes sure these dogs have the food and water they need to survive, even if it means he goes hungry. This 2014 film resurfaced this month after India Today wrote about the country's recent killings of street dogs and included footage from "Man of God." Even several days after the recent cull, it's still unclear whether the government or the townspeople are responsible for injecting the stray dogs with deadly potassium cyanide. Luckily for Baliarsingh, he lives with his dogs on the opposite end of India, far away from Kannur. Though nothing can reverse the tragic deaths of those dogs in Kannur, Baliarsingh's generosity has inspired compassion in others. Using a PayPal account, Sampad was able to raise funds for Baliarsingh and his pets. If you'd like to contribute to Baliarsingh's cause, contact Raj Sampad at rajsampad@gmail.com. Watch the full video of this touching story below.